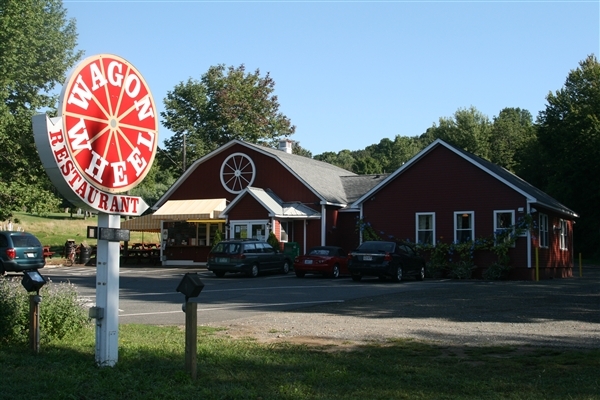 The Conjunction will kick off again with dinner at the Wagon Wheel Restaurant, a family restaurant Route 2 in Gill, MA at 6:00 PM. Meet us directly at the restaurant. 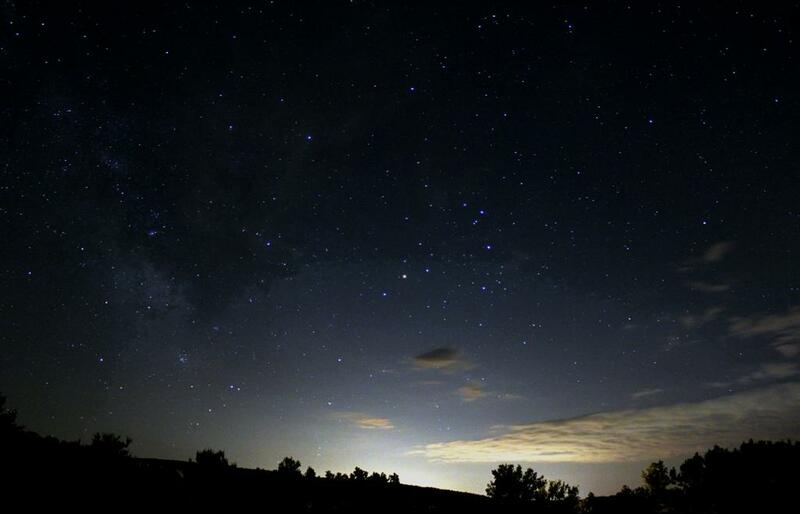 Bring your telescope for the observing sessions on Friday and Saturday evenings at our "Fuller's Pasture" dark-sky viewing site near the Environmental Center. Please note that the Environmental Center will not be open on Friday evening. Any satellites visible from Northfield tonight? Click here for predicted times and locations. The morning kicks off with a welcome over coffee and donuts at the Northfield Mountain Environmental Center. The Conjunction's Swap Table, where astronomical items and treasures are bought and sold all day long also opens at 9. 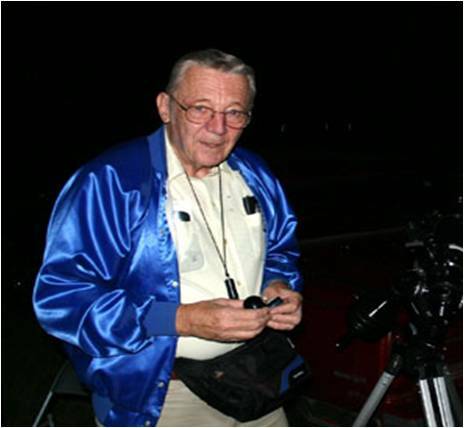 Named in honor of "Barlow" Bob Godfrey, a highly enthusiastic popularizer of solar observing and friend of the Conjunction, our solar star party will feature spectacular close-up views of our nearest star through specially-filtered telescopes. 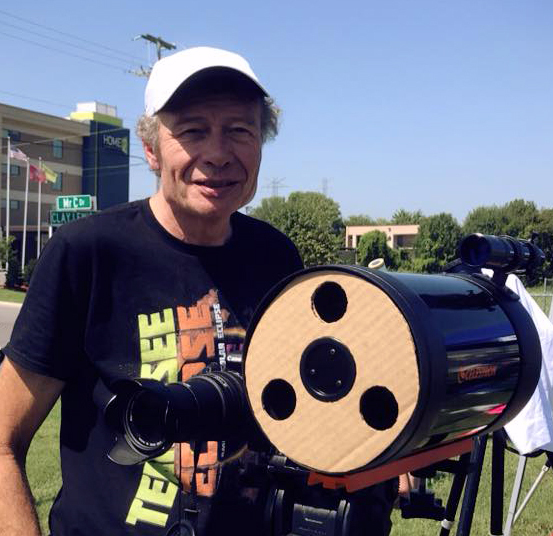 If you have a solar scope, please bring it along to share Bob's star with others. A Star-Filled Tribute to Dr. Richard Scott and John Davis featuring Lynne Scott and Ed Faits. OUTDOOR DINNER - Buffet dinner available, but you must be preregistered for it. A complete hot and cold buffet-style dinner will be available beginning at approximately 6 PM. Last-minute registrants must contact Dave Gallup at (413) 525-4697. Grant Wilson is a Professor in the Department of Astronomy at the University of Massachusetts. He completed his graduate work in physics at Brown University, where he studied cosmology by building balloon-borne instruments to measure the Cosmic Microwave Background - the oldest radiation in the Universe. After receiving his Ph.D. in 1997, he did postdoctoral work at NASA/Goddard Space Flight Center and the University of Chicago, where he worked on specialized experiments in the field of observational cosmology. 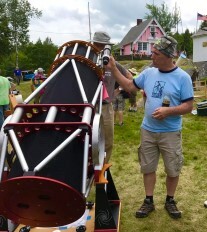 Professor Wilson transitioned from early-Universe cosmology to studying the astrophysics of galaxy and star formation when he came to UMass in 2001. 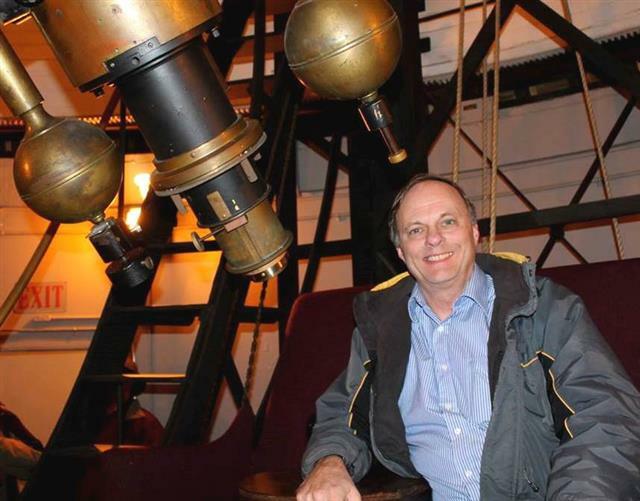 He has since won the College Outstanding Teacher Award, discovered many hundreds of new galaxies with the millimeter wavelength AzTEC camera, chairs the Science Advisory Board of the Large Millimeter Telescope, and now leads a multi-national collaboration of scientists in the building and deployment of the TolTEC camera. Prof. Wilson currently lives in Windsor, CT with his wife and four children. Have questions? E-mail them here.